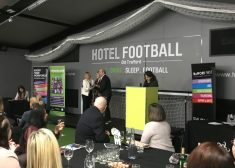 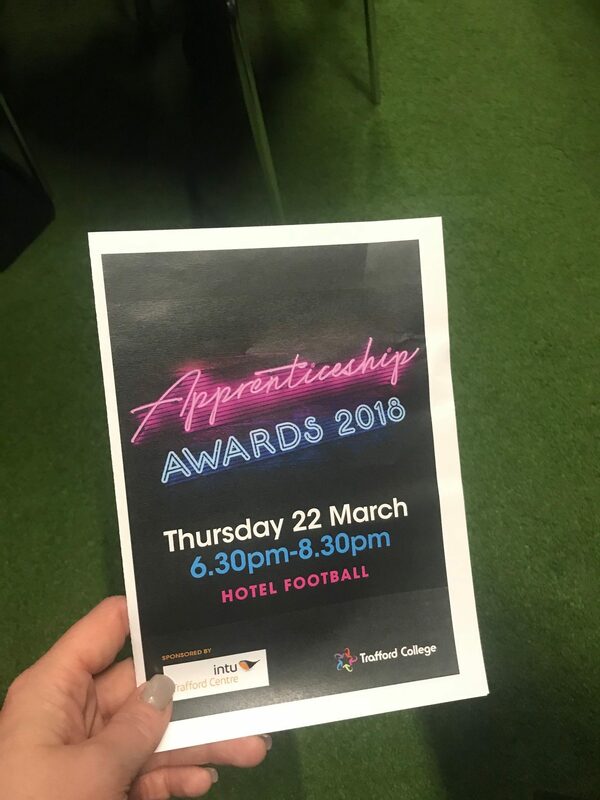 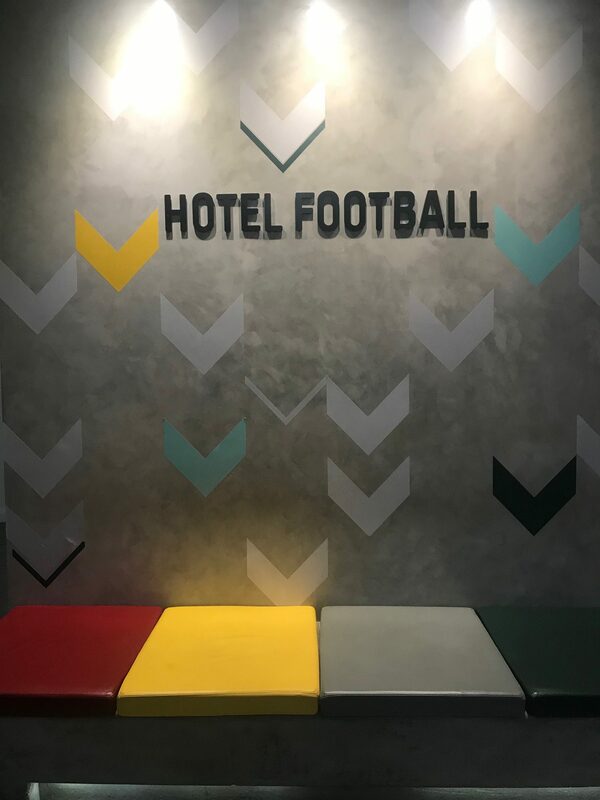 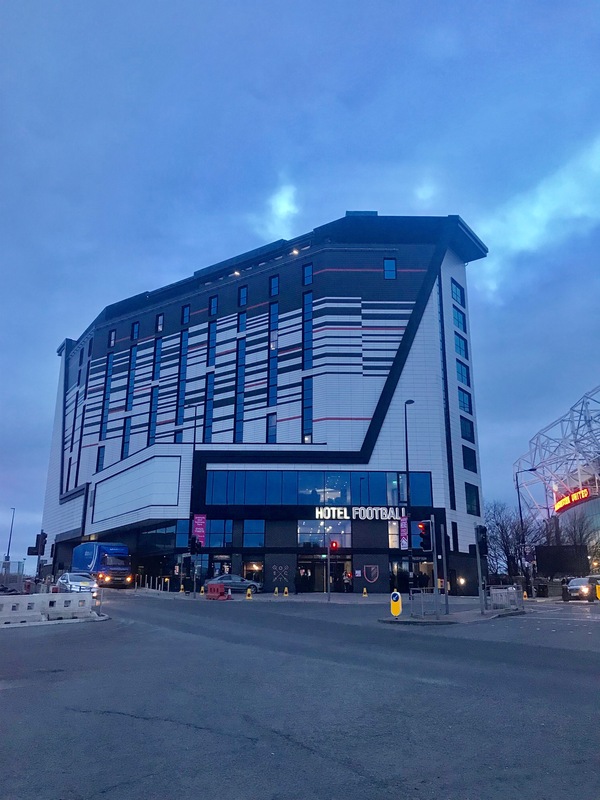 On Thursday 22nd March, Gariff’s Managing Director and HR Manager attended the Trafford College Apprenticeship Awards at Hotel Football in Manchester. 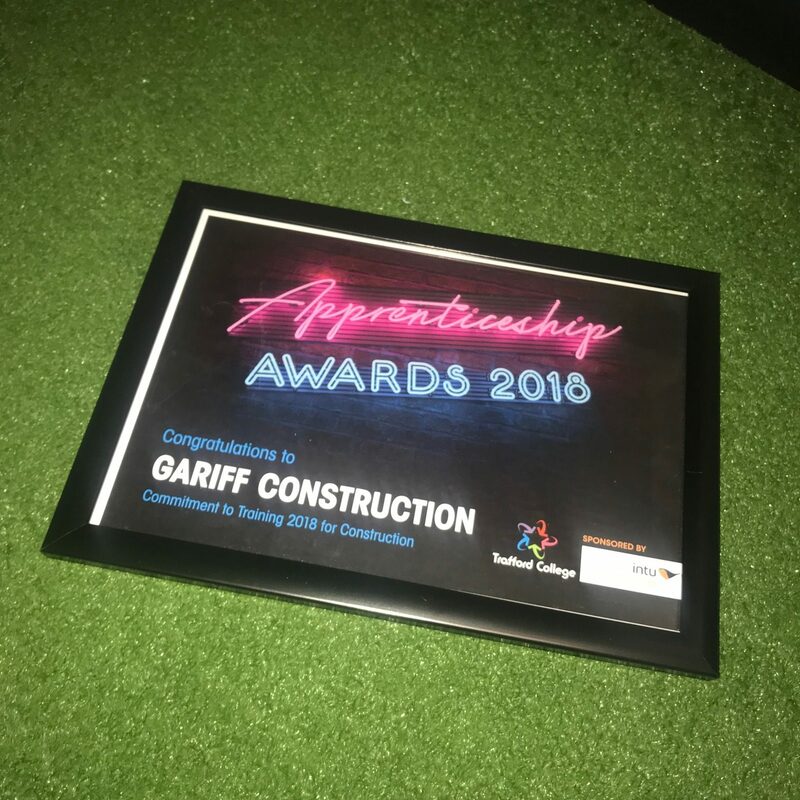 We are delighted to report that we were awarded the Commitment to Training in Construction for 2018, beating all other companies in the construction trades. This was largely due to the fantastic training offered by Alan Whittle, a member of our Manchester Airport team. Alan has given a lot of time to our joinery apprentice, ensuring that his college work is up to date and his site experience varied.